Grill with confidence at any level and enjoy professional grade results with SABER gas grills. The patented SABER infrared cooking system allows you to cook up juicier and more flavorful meals than traditional systems that use dry convection air. 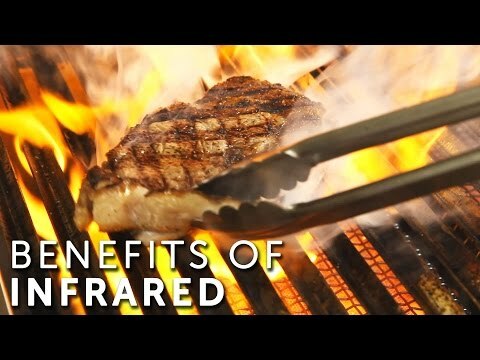 The unique SABER cooking grates and infrared emitters prevent flare-ups and direct airflow away from the cooking surface, providing evenly distributed, indirect heat for maximum moisture retention while grilling. The cooking grates also catch any drippings and debris, protecting the burners and creating that familiar BBQ sizzle as foods are infused with more juicy flavor. Designed with fuel efficiency in mind, the SABER infrared cooking system delivers quality results faster than most gas grills while consuming 30-percent less fuel. The burners, emitters and grates are made of 304 commercial grade stainless steel, ensuring long-lasting performance in your outdoor kitchen. 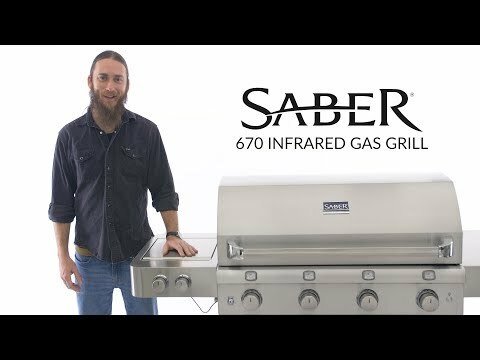 The SABER 500 32-inch natural gas grill features an all-304-grade stainless steel lid and two internal halogen lights for night-time grilling. Three 8,000 BTU gas burners, provide evenly-distributed heat across a 500 square-inch cooking surface. An adjustable, stainless steel warming rack folds down to keep foods warm and can be folded away for additional space when using a rotisserie kit with the integrated rod holders (rotisserie kit sold separately). Precisely manage grilling temperatures across three cooking zones using individual burner control knobs, ensuring reliable start-up with integrated push-button electronic ignition. Three grate-level temperature gauges allow you to easily monitor grilling temperatures, even while the lid is lifted. Cleaning your SABER grill after meals is easy thanks to the porcelain-coated burner boxes, firebox liners and front-access grease tray, simply burn off and brush away any remaining debris with the included grate scraper. Cooking Grid Dimensions 26 1/4 X 19"
I bought this grill few months ago. I installed it and I use it four times a week. Finally my steak with this grill makes me look professional chef. Bought the Saber for my new outdoor kitchen, along with the side burner and refridgerator . I have many compliments on how heavy duty it all looks. I had my previous grill for 10 years and was afraid there would be a learning curve, but the Saber performs great. I bought this grill two months ago and it is just perfect. Grilling is how I get my weekend Dad Game on. Grills from my past have included a basic charcoal, an exploding gas grill, and finally my Saber Grill. My Saber Grill has allowed me to perfect my outdoor culinary skills, always ending in oohs and ahs from the fortunate diners. Old Faithful fires up on time, every time. The temperature is an even keel with nary a flare up. I've truly enjoyed my Saber Grill and always look forward to putting happy faces on whomever is dining with us. I enjoy the grill very much, but I have had to replace 2 defective thermometers and a defective igniter unit (replaced at no charge to me by Saber). Grill cooks evenly across all three burners. Temp gauge probes are under the grill surface so they give you the grill surface temperature not the temp of the inside of the grill. If the wind is blowing or gusting towards the back of the grill it has a tendency to blow out the flame so locate the grill accordingly. Does the grill come with the necessary grill cover, and is it necessary to install this unit into a fire jacket if the frame is made of combustible material? Thanks for contacting us. If you are building in a combustible material you will have to have an insulated jacket, but Saber does not make one for this grill. 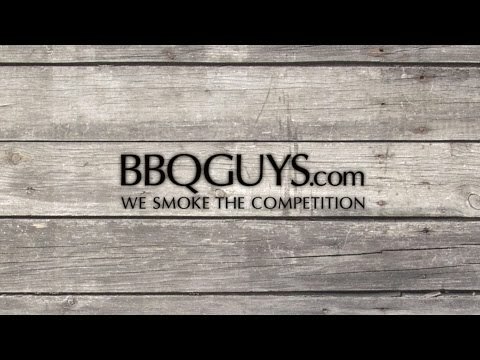 A cover is available for this grill and it can be found here www.bbqguys.com/saber/500-built-in-grill-cover If you need help with anything else please let me know. 26 1/4 X 19" 24 X 18" 23 X 16" 25 7/8 X 19 1/4"
28 1/4" 24 1/2" 24 3/4" 29 7/8"
22" 19 1/2" 17 3/4" 23 1/8"
9" 8 1/2" 12" 10 29/32"